Superior Building Development Services - Builder, Plasterer based in Redditch, Worcestershire. 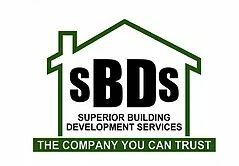 SBDS is an established local building and construction company, with over 25 years’ experience, based in the West Midlands with a reputation ‘built on quality and expertise’ which is generated from our strong knowledge and experience in the construction industry. We undertake all types of projects from both the private and commercial sector. From small home improvements to larger projects. At the forefront of delivering a successful project is our fundamental principle to liaise with our clients at all stages of the construction process, establishing an open and reliable line of communication in the partnership. We make it our top priority to deliver projects on time, to the required standard and within the agreed value of the project.